What’s better than having exceptional work delivered on time? Not having to staff your company with the expertise needed to pull it off. PPC Town works best as an IT Partner to your business. We fill the roles of: Graphic Designer, Web Developer, Web Manager, Social Media Marketer, Social Media Manager, Reputation Manager, Online Marketer, Email Marketer and much more. Business is hard. We all know this for a fact. PPC Town addresses the problem at the source: businesses trying to figure out how to employ someone to perform some or all the positions listed above, or worse, try to do it themselves. We are in the business of helping other businesses reach their clients, wherever they may be on the Internet. If their clients are online, we’ll find them and get your business in front of them! 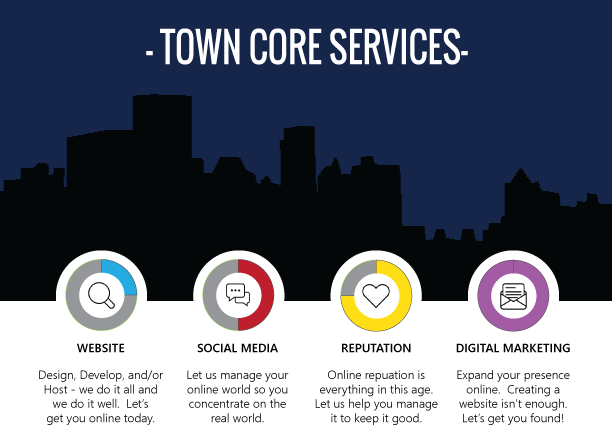 Contact PPC Town to learn more about our services! Tired of tossing money to the wind with sub-par websites? PPC Town has a team of Google Certified professionals that take care of your websites in conjunction with working with any online ads that you are running to achieve the best ranking possible. Want to reach and connect with your clients in a whole new way? Social Media Marketing is the answer! If you are looking to connect to all of your fans and let them know you appreciate them, then Social Media is exactly what you need from the gurus at PPC Town. Yelp and other review websites are becoming increasingly popular. As you know, these websites can contain negative and positive reviews. If your customer reports a negative experience, then you have an opportunity to change his or her mind! The reason why this is so important is that it shows your store cares, which will appeal to new buyers! With our Digital Marketing Services you will be able to expand your presence online. Utilizing the right Campaign for your business we will be able to maximize your ROI and keep your marketing efforts profitable.